Your coordinator can post bulletins on the Bulletin Board. When you sign in at WhenToHelp, your home page will show an alert if there have been any new bulletins posted since you last signed in. 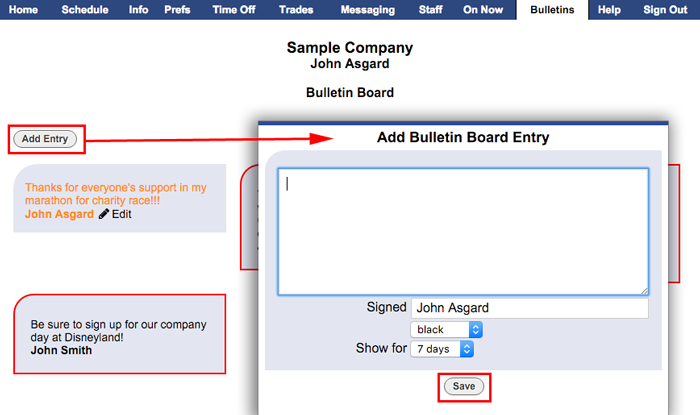 You can click that alert to view the Bulletin Board, click the Bulletin Board button, or in the top menu, click Bulletins. Your coordinator may also allow helpers to add bulletins. If you are allowed to post bulletins you will see a Add Entry button on that page. Your coordinator will give you more information about how your organization's Bulletin Board is to be used.